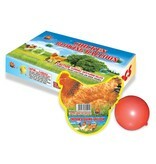 It's a great addition to your novelty line that has never been seen before. This chick whistles, snaps, crackles and pops, out an egg that is. 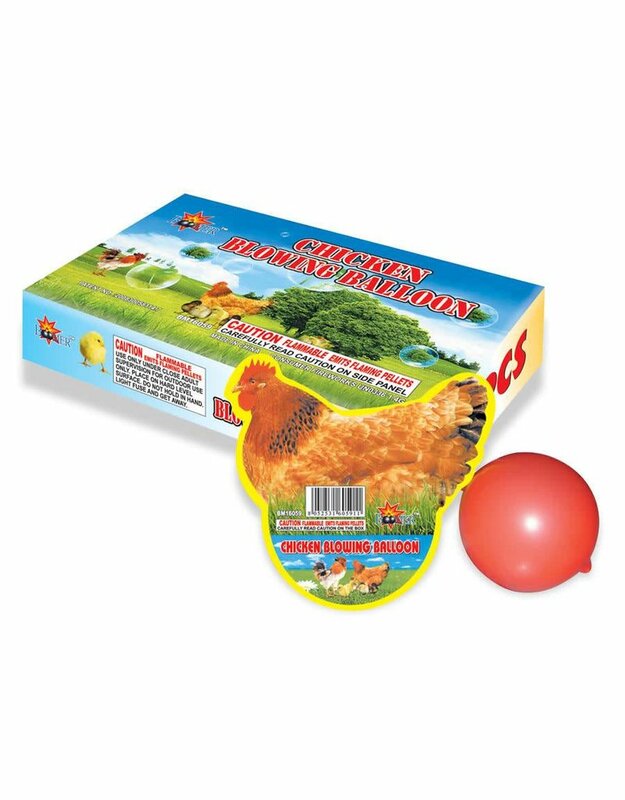 Balloon stays inflated far past the performance effect of the chicken.